How to Turn Your Teacher Purple! Discover the origins of the universe! The worlds of poetry and science collide to create a picture book about our Sun. Here James Carter takes on the origin of our universe for an Early Years readership. He presents the information as a story told in an attractive rhyming text that speaks directly and imaginatively to its young audience. The text is presented in an attractive large font that on occasion swirls and bursts off the page adding to the underlying excitement of the science. An enjoyable, informative and affirmative addition to any child's bookshelf. An ode to the creation of the universe the book blends the words of science and poetry beautifully. With dynamic graphic illustrations you will learn about the Big Bang, planets, sun and stars as well as the beginning of life on Earth. This book is a beautiful collision of poetry and science! 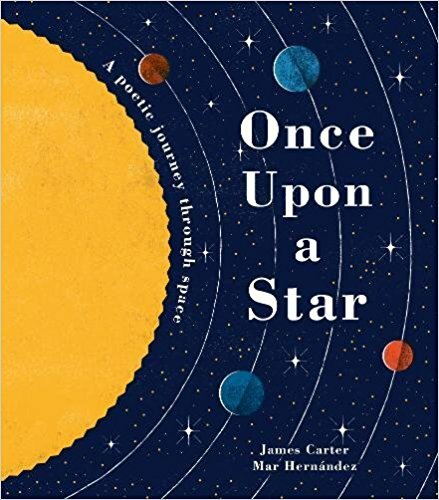 There's been a real boom lately in non-fiction books imaginatively presented for young children and Once Upon A Star, exploring how our universe was created, by poet James Carter and illustrator Mar Hernández, is a beautiful addition. Carter's verse bounces along, whlle Hernández's images explode on the page. For human children aged 7-12. A dreamer? Me? Err, you bet. The World's Greatest Space Cadet! Join well-loved poet James Carter on a journey through space and time - meet everyone from a Viking Warrior to a crazed cat and travel from planet Earth to the very edges of the universe. This wonderful collection is the perfect way to get children interested in poetry. His poems will work their magic on all readers, and each one finds something new to say, and the perfect way to say it. A treat from first page to last. To me, this is what teaching poetry should be about in primary schools; pushing boundaries of language conventions as well as using humour to capture attention. The mix of poems throughout the book are fantastic in exploring different forms of poetry, inspiring pupils to create their own versions which can be very rewarding and less overwhelming than other forms of writing. Want to travel in a rocket? Search for a grumpy dragon? Make your very own monster? Visit a higgledy-piggledy farm? Well, hop into Zim Zam Zoom - for fun and adventures galore! Colours, animals, space, music, fairytales and fireworks...! Here is a collection of poems especially written for performance. With delightful illustrations by a talented new illustrator, this is a brilliant introduction to poetry for young children. There are few writers more sensitive to 'hooking' young children into poetry than James Carter. His vast experience of visiting and working with youngsters in schools enables him to pitch his writing for his audience perfectly...Carter does exuberance and humour really well, but he can also be quietly reflective. If you're not sure about teaching poetry, then look at his website and just dive into a collection like to enjoy with your children. Beautiful book, wonderful words, lovely illustrations. This is definitely a poetry book, but it's a picture book, too. I tried reading it aloud with a young listener and it went down very well. We both really enjoyed it - every single poem. They made us laugh, they made us shiver and they made us ooh and aah. The alliteration and the onomatopoeia, the fun rhyme and the zappy rhythm are all ideal for joining in. James Carter really does understand how to grab the attention of younger children. And Nicola Colton provides some great illustrations. Buy it." Poetry Zone "There is Roger McGough, there is Michael Rosen and here is James Carter bringing bright, lively words to children. ... Against bold coloured backgrounds of ochre, red and green, Nicola Colton's childlike images add to the joyful action. .. This is a book that would be great fun to share with a class of enthusiastic children, or as a family at bedtime. Wolves are fascinating, beautiful - and often misunderstood. 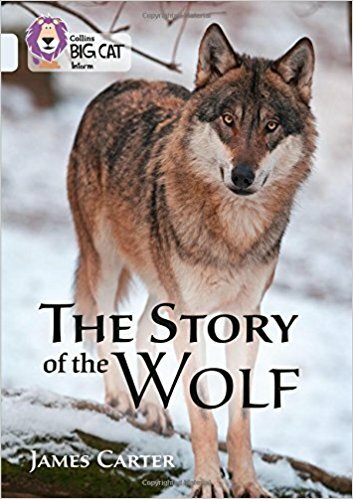 Find out how wolves are adapted to life in harsh climates, how they live and work together in packs, how humans have mistreated them in the past, and how humans and wolves might live alongside each other more peacefully in the future. 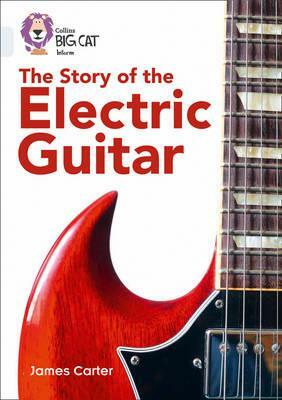 Electric guitars have made a massive contribution to music over the last century. It's hard to imagine today's music without them! But how were they invented, who were (and are) the greatest guitarists and what makes this amazing instrument so versatile and exciting? Read this book to find out! For 10/11 year olds. Poems, riddles and action rhymes for younger children. Zoom around this book to find aliens, stars and a greedy robot - as well as funny faces and a ball that won't bounce back! This is a fun and playful new collection by an award-winning poet who knows how to inspire and delight very young children. I'm a Little Alien is a fantastic collection of poems that will excite and engage young readers, drawing on children's immediate interests and experiences. Children will be transported on a journey into space alongside endearing characters such as Oggy the robot; learning a wealth of new and exciting vocabulary and concepts. Children can dive into poems based on the seaside and animals; poems such as Bucket invite children to use their imaginations and visualise concepts. Endearing illustrations by Mique Moriuchi are the perfect companions to the poems. Ideal for supporting learning and development across the Early Years Foundation Stage and Key Stage One, this collection allows adults and children alike to explore a range of poetry. A must-have for classrooms everywhere. Stars, woolly mammoths, tigers, bugs and books .sneak a peek into James Carter’s brain in this brilliant collection of poems. Something for everyone aged 7-777 years old! Macmillan Children's Books - January 2012. This is a fantastic collection of poems for children and grown-ups of all ages. Lively. Thoughtful. Energetic. Delightful. James Carter is so good at making words sing and play, tell stories, transform themselves into wolves, the moon, guitars - in short, he makes words perform! The book is full of important information too. Find out what stars are, why you shouldn’t do a jigsaw in space and what dinosaurs are made of. James asks what you would do if you were Boss of the Universe? That’s easy! I would make everybody buy a copy of this book. It’s funky! Loved the poems. Fun to read to your child and an excellent use of words. I recommend the book to others. A collection of poems and action rhymes for 0-7 year olds. An excellent book, full of quiet, tender and fun poems for little ones. And not, thank goodness, twee and sentimental. There’s a good variety of poems with lots to join in with and learn by heart. Lovely illustrations, too. Overall, it’s a wonderful introduction for young children to the delights of poetry. Buy one for the classroom, one for the school library and one for every child you know under the age of seven. This is a lovely introduction to poetry for young children .. What shines through is a real understanding of the target audience and the things that will appeal to them. A great book for the classroom/ school library. A charming and tender collection written for the 'little bugs' that constantly absorb sights and sounds around them. As a performer of poetry, James Carter writes with the exuberance he would give when delivering poems in person, and each one contains this lively enthusiasm both on and off the page. It is clear the poems mean a lot to Carter, and this is easily transferred to the reader. Children will find it absorbing and entertaining and adults will be reading with smiles written on their faces. Good poetry books for younger children are thin on the ground. Either they come in big glossy coffee–table type tomes – the sort that granny might buy at Christmas (not that there’s anything wrong with that) or they are regurgitations of poems written fifty or more years ago. And however great you might think Robert Louis Stevenson’s poems are – they are very much of their time. How wonderful, then, to read James Carter’s fantastic book. Like RLS it’s full of gentle, daft, sensitive, funny, sad and serious poems. But, and here’s the really good part, it’s not twee or sentimental. The poems are modern – of these times. Nice illustrations too. Grrrreatings readers! Want to know how to how to get a woolly mammoth to sleep? Want to know how to steal a dragon's egg? Want to know what vexes T Rexes and what dinos are made of? Want to know a good name for a dragon? Want to get headbanging at the dino disco? Well, you'd better tread carefully as you step into this book, it's brrrimful of beasties grrrreat and grrrruesome, and what's more, plenty of...GRRR! 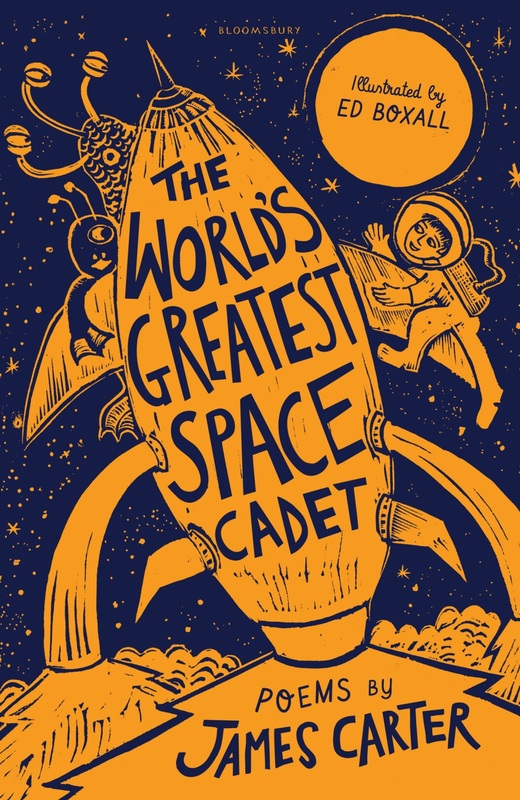 Sponsored by the Science Museum, this is a brand new collection of sparkling space poems from two of the UK’s top children’s poets – with stars, planets, space travel, moonwalkers, UFOs and aliens aplenty. Cosmic or what? The book is a great mix of funny, exciting and touching poems that will delight kids and parents alike. A collection of sizzling science poems that will make you gasp, groan and giggle. With quarks and quasars, dynamos and dinosaurs, take a poetic look at science from the big bang to the end of the universe! Q: What's great, green, slimey, stripey, brainy, zany, curious, cosmic and utterly mind-blowing? A: The poems in this book! Orange Silver Sausage is a wholly unique anthology, lovingly compiled by James Carter and Graham Denton. It contains over 50 non–rhyming poems of every shape and size, in a wide array of voices from many of the UK’s top poets – including Carol Ann Duffy, Michael Rosen, Brian Patten, Jackie Kay, Grace Nichols, and Roger McGough, and of course, Benjamin Zephaniah and John Agard. OSS even contains a manual on how to write and perform your own non–rhyming poems! There is a lack of quality poetry books available currently, and in the absence of good single–poet titles, this much needed anthology of non–rhyming poetry does exactly what it sets out to do. Some of the best children’s poets are represented and the authors do not stick only to the well known poems. It as a great mix of the little–known and the familiar, and provides serious insights alongside entertaining and humorous pieces. In addition, notes are provided to encourage children to try their hand at writing their own poems. Every teacher and librarian will want this – it is a classic for the whole of KS2 and beyond. A collection of poems for 7–777 year olds – loosely based on the theme of time. A beautiful collection. Crafting genuinely effective poems for this age group is not easy and only a few poets have the skill. James Carter manages to find depth in this well–crafted collection. Macmillan have done much to promote poetry in schools and this collection is a genuine bonus to their list. A really starry collection of poems serious, amazing and hilarious. A collection of children’s poems in a variety of forms, styles and voices for 7–11 year olds. This book is recommended by Young Book Trust (London) as part of their Children’s Poetry Bookshelf Scheme and was promoted to Primary schools across the UK for National Poetry Day in October 2002. James Carter is an exciting new voice, imaginative and innovative. Children will love these poems. A great variety of funny and thoughtful poems presentated in a lively and entertaining manner, packed with humour and originality. A definite buy for the classroom. Will children like it? Yes, very much. James Carter is an exciting new voice with an original view on the world...His observations make you smile, nod in agreement or laugh out loud...It will appeal to children and adults from 7 upwards – buy lots and enjoy. Carter is a name to watch and writes with warmth, gentle humour and some charm. A superb collection of poems...a fine addition to any KS2 poetry collection, but kids from both KS1 and KS3 will also love many of these poems, such is their quality and the breadth of their appeal. 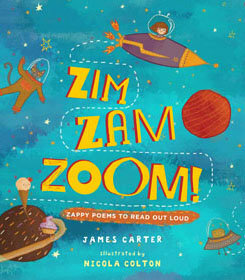 James Carter’s first collection shows a quick–witted, energised poet working his way through a host of fresh approaches to verse...This slim book fairly fizzes with ideas...A cheerful collection that Key Stage 2 pupils will enjoy exploring. The poems are really exciting...would recommend this book to reluctant or first time poetry readers of any age, there’s something for everyone!